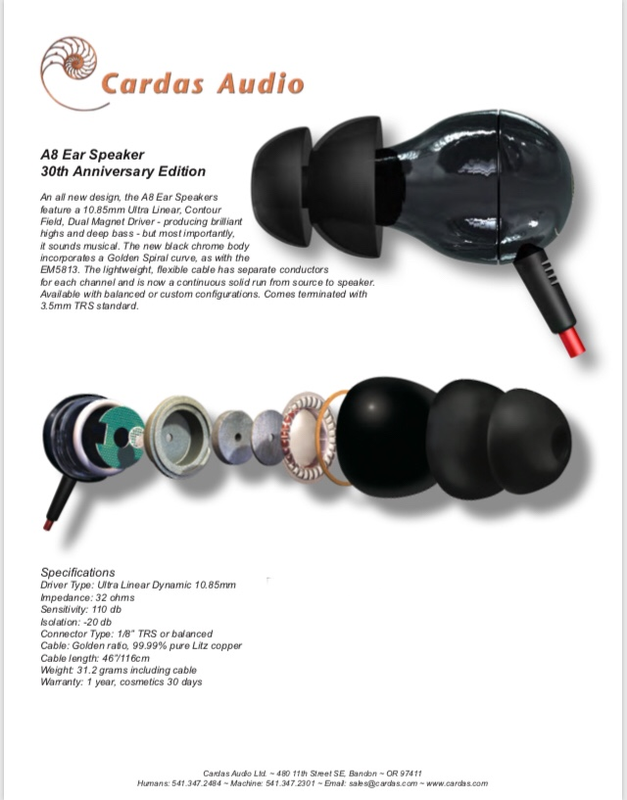 Cardas A8 ear speaker forum testing and reviews. Re: Cardas A8 ear speaker forum testing and reviews. Looks like they heading behind the borrieworrie curtain but once smuggled back all good Xenithon. Klyve, how we doing ? Depressed? Cans on, volume up, ignore the world! And the current price is? Decent price if you use them for quality sound. My in ears tend to be used in the lab to drown out other noise with a bit of music.